Swedish chemist and mineralogist, foreign honorary member of the St. Petersburg Academy of Sciences. He discovered cerium, selenium, thorium. He created the electrochemical theory of chemical affinity, on its basis built a classification of elements, compounds and minerals.He determined the atomic masses of 45 elements, introduced modern chemical signs of the elements. Proposed the term "catalysis". Born in the village of Weversund, near Linköping in the family of a teacher. At the age of nine he was left an orphan and from a young age he was forced to earn a living in agricultural work. In 1793, he enrolled in Linköping Gymnasium, where he showed an interest in natural science, began collecting stuffed birds, insects, and plants. In the certificate of completion, "good natural inclinations, but bad temper and dubious hopes" were noted. At that time young Berzelius was in very cramped material conditions. Only an irresistible desire for knowledge and perseverance in achieving the goal helped him to enroll in Uppsala University in 1797, where he studied medicine and chemistry, and successfully complete it in 1801. After graduation, Berzelius became an adjunct of medicine and pharmacy at the Medical-Surgical Institute in Stockholm. At this time, he became friends with the rich owner of the mine, VG Heisinger, who was interested in natural science problems and supported young researchers. Together with Heisinger, Berzelius conducted chemical research. So, in 1802, using a Volta battery, they found that by passing an electric current through solutions of alkali metal salts, the latter decompose with the release of its constituent parts. In 1806, Berzelius became a full-time professor of chemistry in high school, and a year later he was approved as an ordinary professor of chemistry and pharmacy at the Medical Faculty of the Royal Medical-Surgical Institute in Stockholm. In 1810 he was elected President of the Swedish Academy of Sciences. In 1818, Berzelius was granted a noble rank, and in 1835 - the title of baron. Berzelius selected several talented chemists to work in the Stockholm laboratory; Kh.G. Gmelin, Heinrich and Gustave Rose, E. Micherlich, F. Wohler, C. Mosander. 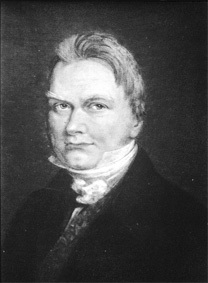 The scientific interests of Berzelius covered almost all the main problems of general chemistry of the first half of the 19th century. His work is devoted primarily to the study of the ratios of elements in compounds. Berzelius determined the atomic masses of 45 chemical elements and in 1818 published them in the form of a table. In the same year, he compared the percentage composition of 2000 chemical compounds (almost all compounds known at that time) and indicated their “atomic weights” (he did not use the term “molecule”, but considered molecules as atoms of varying degrees of complexity). Berzelius proposed to use the initial letters of their Latin names to designate chemical elements. He introduced the first formulas of chemical compounds. In his opinion, for the designation of chemical compounds should use letters and numbers, so that they can be easily written and printed. They should visually reflect the ratios of the elements in the compounds, indicate the relative amounts of the constituent parts forming the substance, and, finally, express the numerical result of the analysis as simply and clearly as algebraic formulas. Since 1811, Berzelius has been systematically determining the elemental composition of organic compounds and showed that their composition obeys the law of multiple relationships. He improved the elemental analysis and corrected the formulas of many compounds. When organic compounds were found that possess different properties with the same composition, Berzelius called this phenomenon isomerism. Berzelius discovered new chemical elements: cerium (together with VG Heasing), selenium and thorium. He was the first to succeed in producing silicon, titanium, tantalum, zirconium, and also vanadium in the free state. Berzelius developed the electrochemical theory of the affinity of elements, on the basis of which he constructed their classification - he compiled an electrochemical series of voltages, calling electronegative elements metalloids, and electropositive elements — metals and placing relatively electrically neutral hydrogen between them. Berzelius summarized all known results of catalytic research, suggested the term "catalysis" to refer to "non-stoichiometric interference of third bodies" (catalysts) in chemical reactions. He introduced the concept of "catalytic power", similar to the modern concept of "catalytic activity", put forward ideas about allotropy. Being a magnificent glass blower, Berzelius designed and manufactured numerous glass appliances. He so improved the experimental methods and the design of scientific instruments that they were subsequently used by several generations of chemists, and some of them are used in our time. Berzelius published about 250 scientific papers. Starting in 1821, he regularly published annual reviews of the success of chemistry and physics (27 volumes in total), on whose pages scientific discussions took place. For many years, these “Annual Messages” have played the role of a major international journal. The multivolume Textbook of Chemistry written by Berzelius (the first volume was published in 1808, and the fifth in 1828) was distinguished by a clear and precise presentation of the material. During the life of the author, this textbook endured five editions (each time in a revised and expanded form) and was translated into many languages ​​- French, Italian, English, Dutch, German. 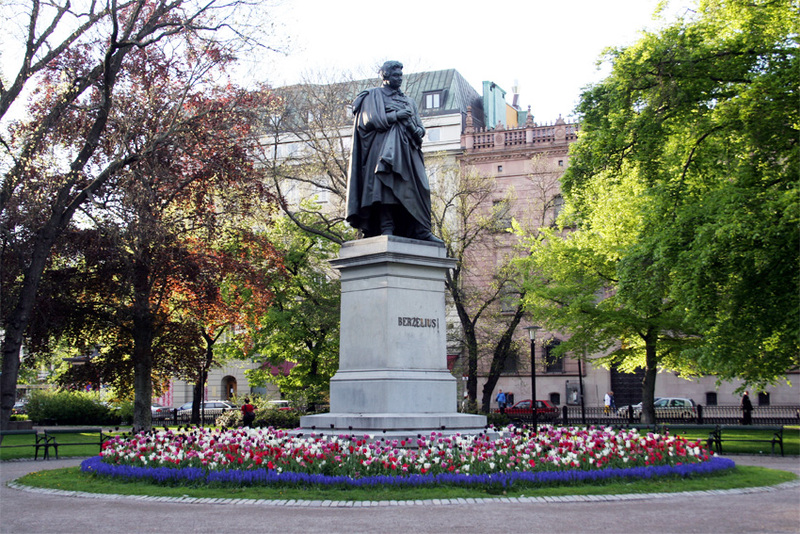 In 1855, a monument to Berzelius was erected in the capital of Sweden. Died Berzelius in Stockholm, buried in the cemetery Solna. 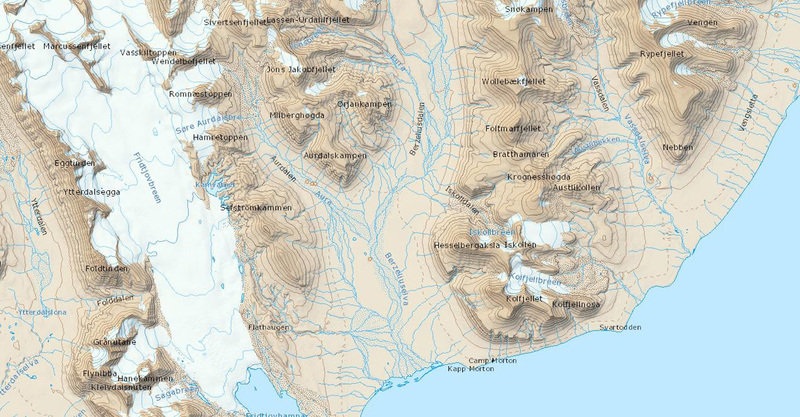 The valley is about 16 km long, extending south to the western part of the Van Meyen fjord. The coordinates are 77° 51.5'N 14° 49.0'E. River length of 12 km, flowing along the valley of Berzelius Coordinates 77° 50.5'N 14° 46.0'E . Mountain 1049 m . On the south bank of the Van Kyulen fjord. 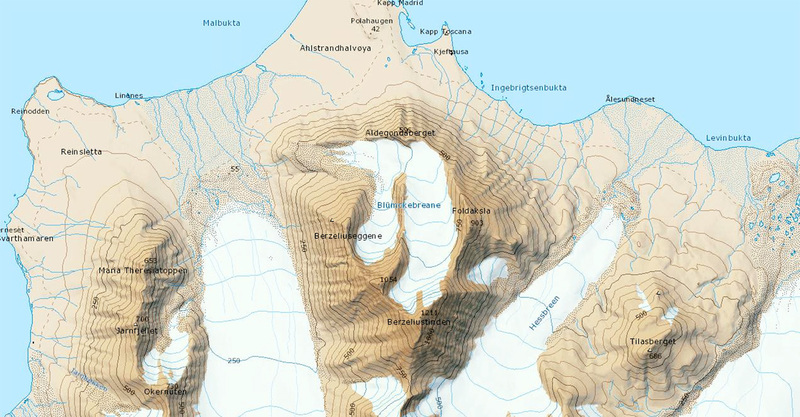 The coordinates are 77° 31.2'N 15° 01.5' E.
Mountain 1205 m on the south bank of the Van Kyulen fjord. Coordinates 77° 30.7'N 15° 03. 5'E.